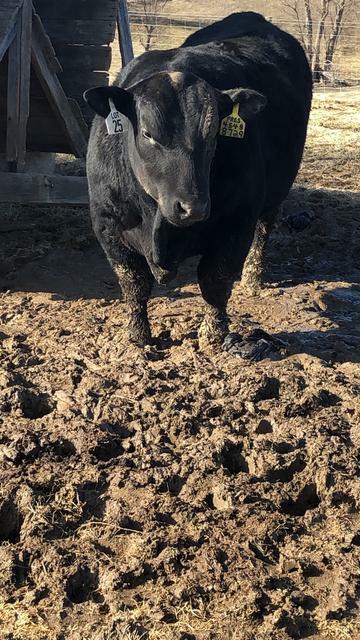 I'm fairly new to raising cattle and extremely new to building an angus herd. I took over my grandfathers farm, at the age of 21, when he passed away 6 years ago and have been slowly replacing the commercial cows with purebred angus with the goal of selling seedstock and local consignment sales. 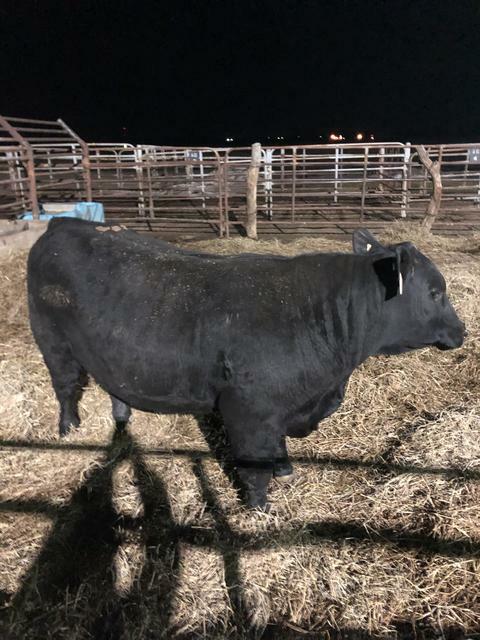 I bought my first purebred angus bull this winter from the SAV sale, I know there has been some heated discussions about SAV genetics around here but they must be doing something right to have 1500 buyers there every year. 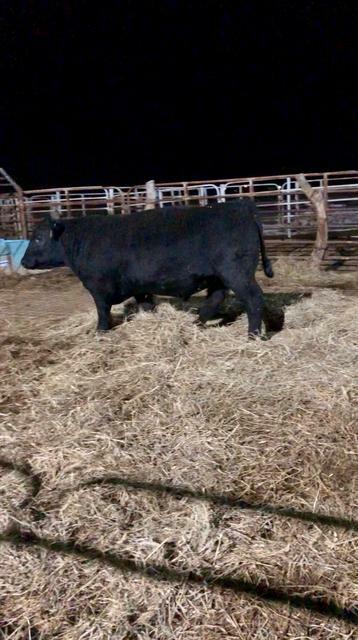 I would like some constructive criticism on my yearling bull, I am new to this and nobody really ever taught me how to select animals and I didn't have a whole lot to spend on a bull with all the infrastructure upgrades I have to do around here. Last edited by YoungAngusCattle on Sun Mar 17, 2019 8:21 am, edited 1 time in total. I’d say he’s pretty darn nice and a step in the right direction. Have you thought about doing any AI? I have been dooing AI for the last 3 years. I want to venture into the world of embryo transfers sometime soon. I could not get the AAA website to bring that bull up by either name or registration #. Is there a Typo? Btw: deep, wide. Nice bull. I think he looks a little bit knee knocked, but not bad enough to effect the soundness of his offspring. Also his EPDs aren't the best, his CED is slightly below average and his $E and $B is slightly too low. Although these are low accuracy numbers so he might creep back toward average and I don't like to get caught up on numbers unless they are mind boggling below average or extremely high. I believe in everything in moderation is better. What would you guys recommend for sires to AI my purebreds to to great offspring that would mix well with these SAV lines for this guy to bred? He won't be turned out with the cow herd till next year but I will let him bred a few younger cows so he can learn how to wine and dine the ladies before he has to worry about covering the whole herd. Your bull looks good. My advice is to use him. Treating him like a china doll won’t help return your investment in him. Most breeders provide a first year breeding warranty so he should be covered for any injuries. Also by using him the first year you will find out whether you like his calves or not. If he was mine I would run him by himself for first few days of season and watch him in service. Then I would watch for those same cows the next cycle. A decent yearling can breed 30 to 35 cows if he is fertile and a capable breeder and doesn’t have to fight to get the right to service the said females. I was told a young bull should service 1 cow per 1 month of age. That is a conservative estimate. We run one yearling to 20 cows in multiple sire groups routinely. We expect 80% conception first cycle. Granted there are some bulls that are just poor breeders. My personal experience says the higher HP epd bulls settle more cows. At least that is the way it has worked the last two breeding seasons. If a well grown out yearling can’t breed and settle 20 cows he isn’t worth much. He most likely won’t be very effective as a two year old either. Do you think yearling scrotal circumference is a better indicator of a yearling bulls ability to cover that many cows? He measured at 38.80 as a yearling. I would think that would be a better measuring stick than HP, plus he doesn't have any HP numbers in his EPD profile. Why is that? We run a yearling on 20+ head no problems. Looks like he's in good condition and could handle em just fine. Edit to add Good bull i like his width!